Owing to our rich industrial experience we are able to make our innovative product i.e. High Tensile Fastener. These products are sturdy in construction & having the good & quality life. The main features of these products are having the corrosion resistance & it is variously used in all most all the industries. - As per HSFG Bolts DIN 6914, ASTM 325, ASTM 450, IS 3757, ISO 7512 or as per IS/ISO standard. - Generally available in black finish. 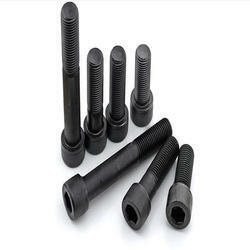 We are Horizon Mercantile Associates Pvt Ltd. offering all types of high strength bolts in bulk quantity. - We give HSFG Bolt in Hot Dip galvanized condition also. 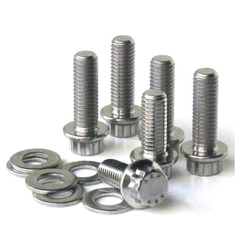 We are offering all types of high strength bolts in bulk quantity. - Sizes: 1/4" through to 64"
These High Strength Fasteners have gained acclamation not only for dimensional accuracy but also for resistance to corrosion. Manufactured using latest technology, our range has high tensile strength and can be availed at industry leading price. We deal in high strength structural bolts , nuts and washer which are widely using in all types of construction activities. We are authorized distributors of unbrako make fasteners wich provide excellent quality of fasteners. We are engaged in trading of optimum quality Hardware for In Ambika Ent. Our array comprises Mild steel, High Tensile Fasteners, Hardware Fasteners, nuts, washers, spring washers, all types of industrial material, mild steel Nut & Bolts, high tensile grade spring washers, flat washers, V-belts, spanners, drills, taps etc. Accordingly; DACROMET or JS-500 coated, Grade 10, 9 hardware used both on sidewall and stiffener beams. Thanks to bonded washer and strip caulking, efficiency on sealing is obtained. High strength concrete is generally defined as concrete with a compressive strength of 6000 psi or greater. - To put the concrete into service much sooner. - To build high rise buildings and bridge decks. Sizes: 1/4" through to 64"